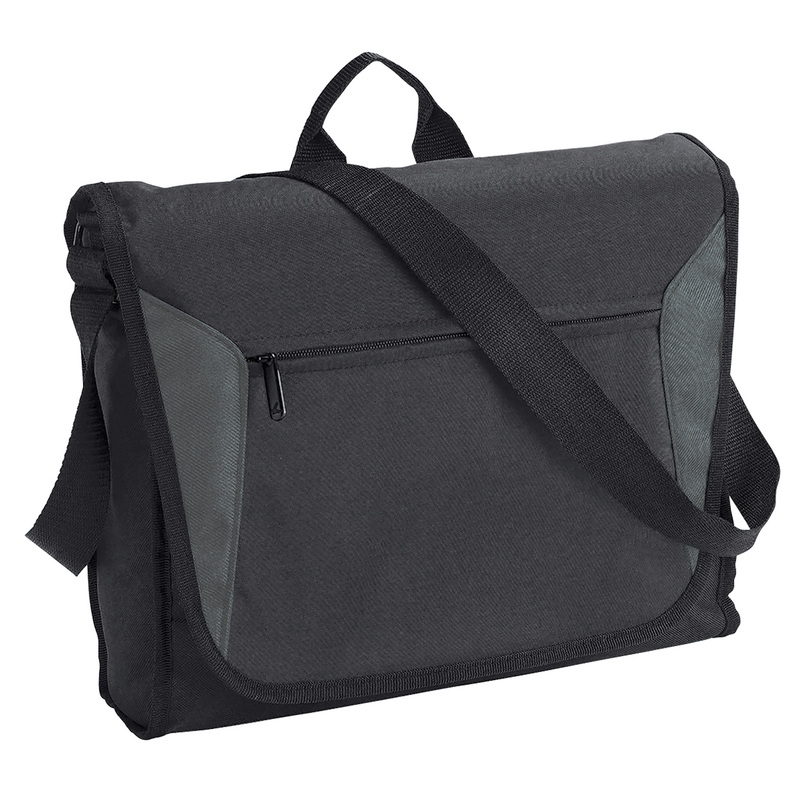 A classic satchel bag in style with all the features and quality to suit all meetings or conferences. This satchel bag features a classic shape, quality construction and multi-pocket design. Made from 600D/300D polyester with PVC backing and features: 38mm webbing handle and shoulder strap, metal fittings, webbing haul loop, business card holder on back, Velcro fastener, and a organiser under front flap contains (pen holders, elastic slip pockets, key clips, etc.). It also has a carrying capacity of 12 litres. Casual & multi function design.